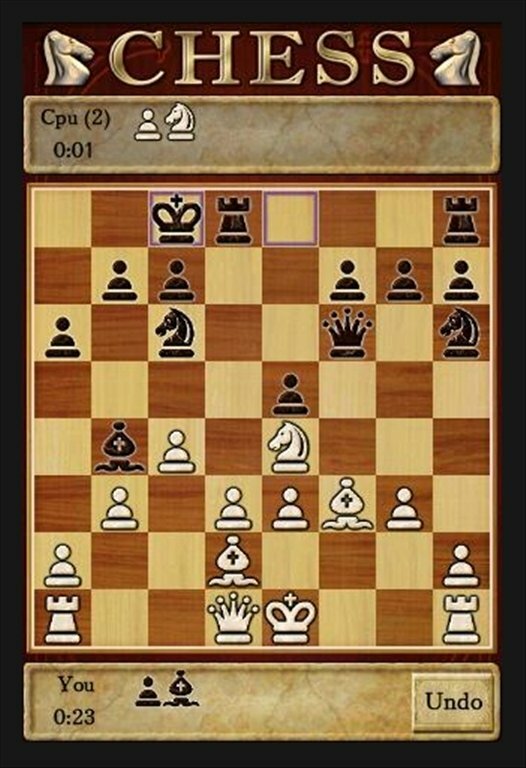 Chess is one of the best logic and strategy pastimes to exercice our mental skill and dexterity. 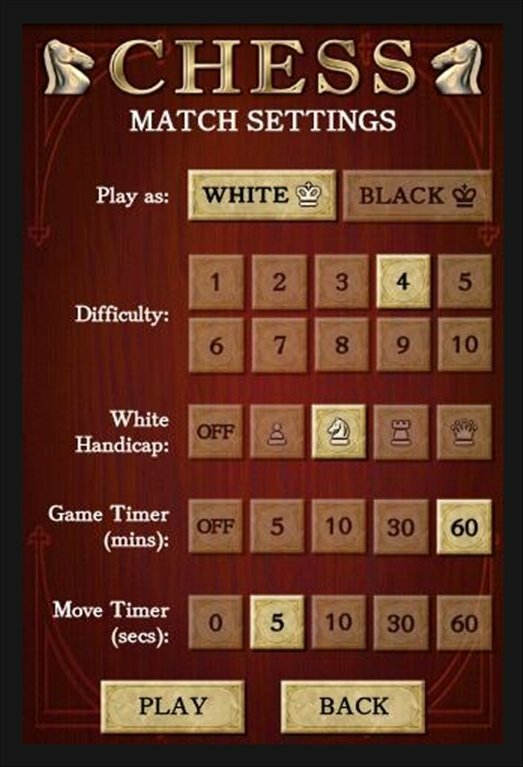 Why not play a few games from your Android mobile or tablet? 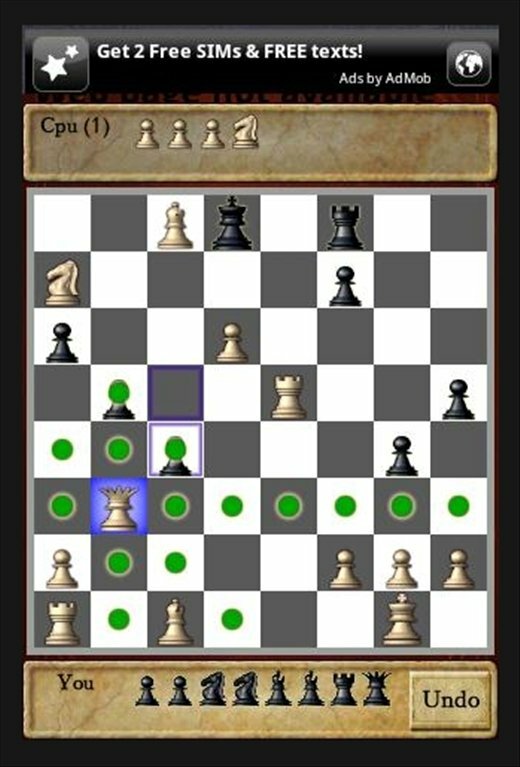 Download Chess Free and start thinking which will be your first move. 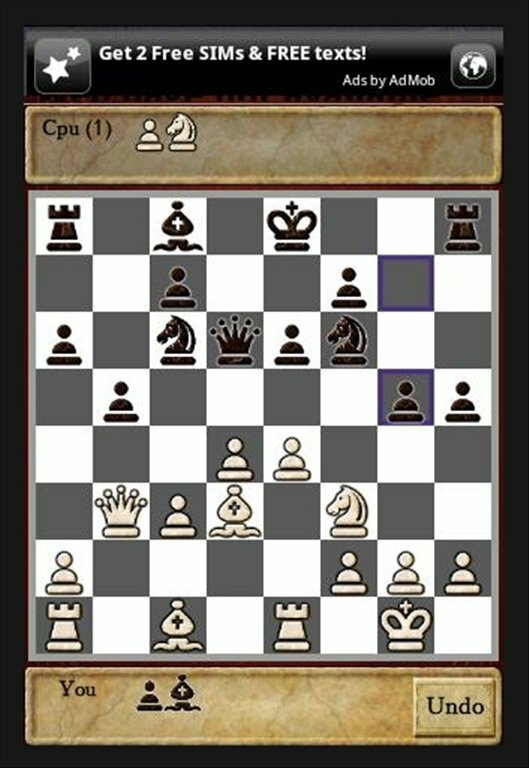 Chess is the best game to practice on an Android device. 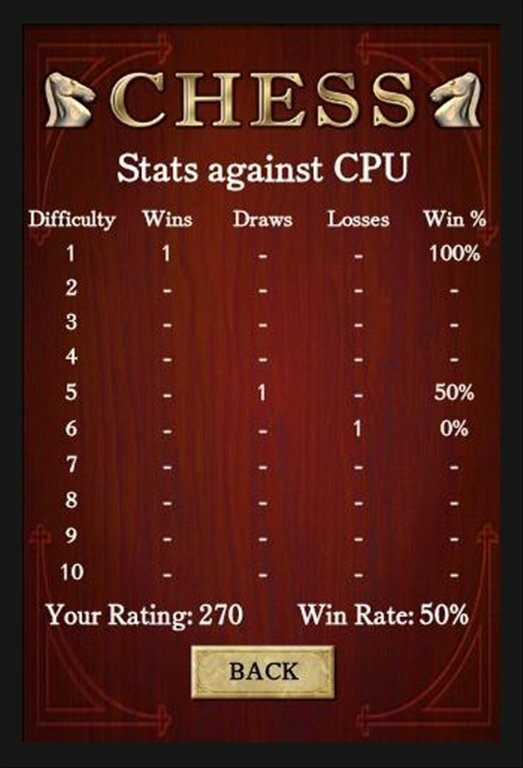 10 difficulty levels that cover from levels for newbies to experts. 'Treebeard' game engine that simulates a human-type playing style. 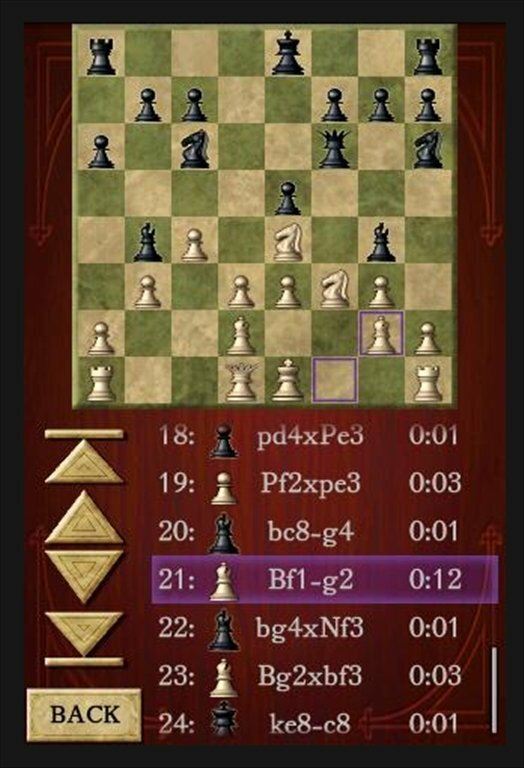 Option to show the movements expected by the CPU: perfect to learn. Access all kinds of data and statistics to view your evolution in the game. 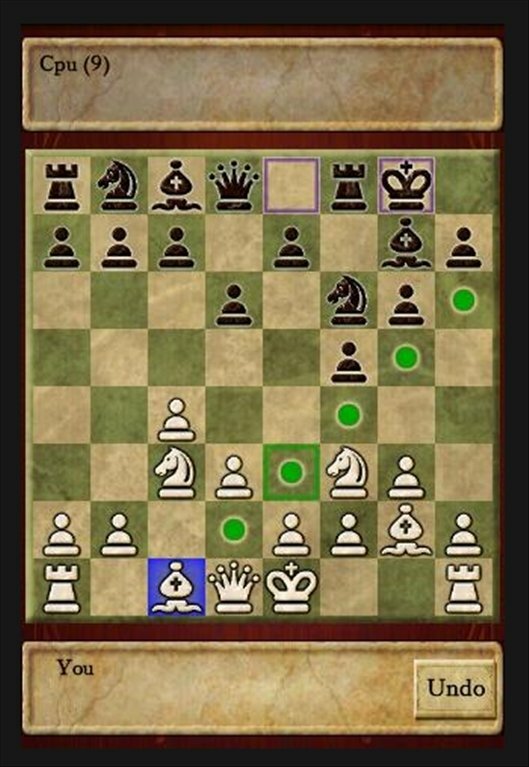 Choose between 3 different boards and three sets of pieces. Complete support for tactile screens and scroll wheels. 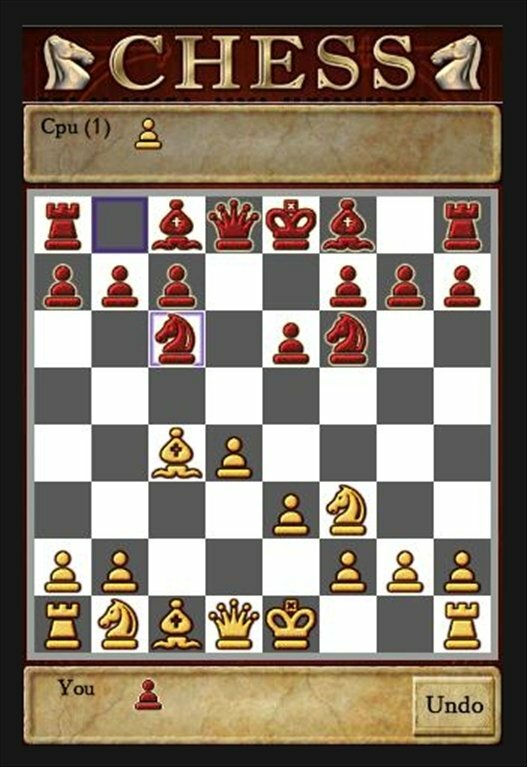 Download Chess for free and you'll be able to play chess on your Android device.